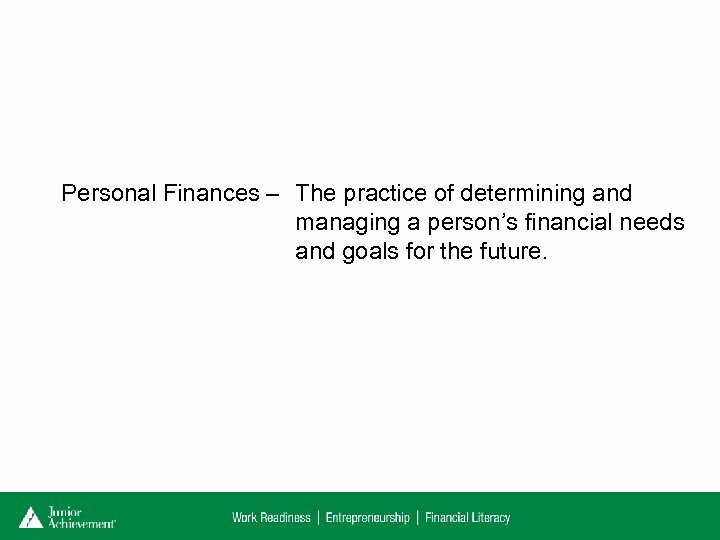 Personal Finances – The practice of determining and managing a person’s financial needs and goals for the future. 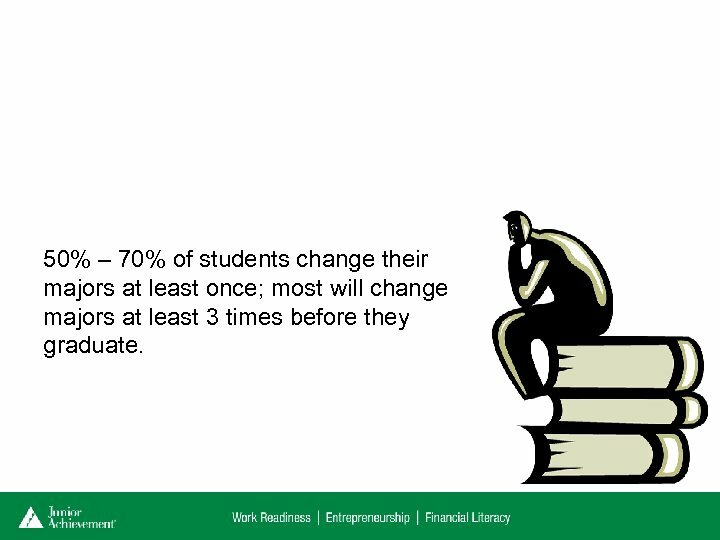 50% – 70% of students change their majors at least once; most will change majors at least 3 times before they graduate. 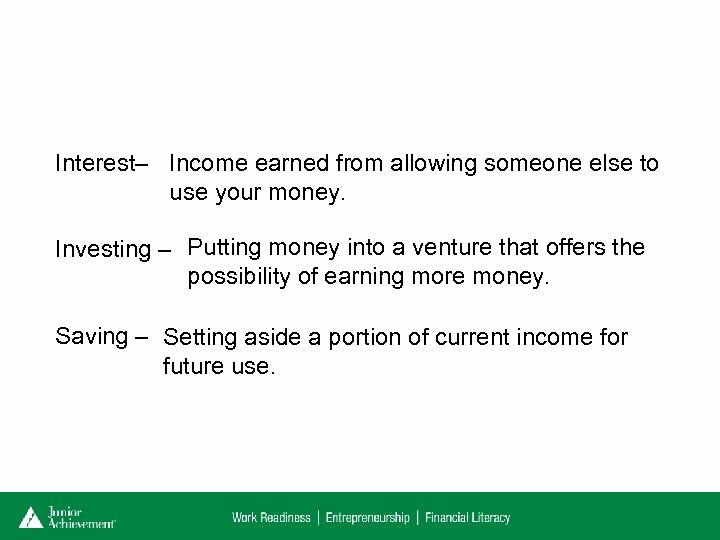 Interest– Income earned from allowing someone else to use your money. 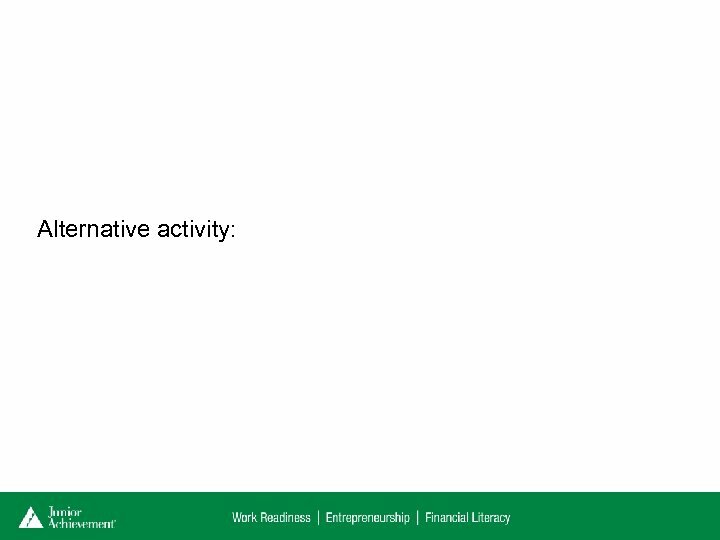 Investing – Putting money into a venture that offers the possibility of earning more money. 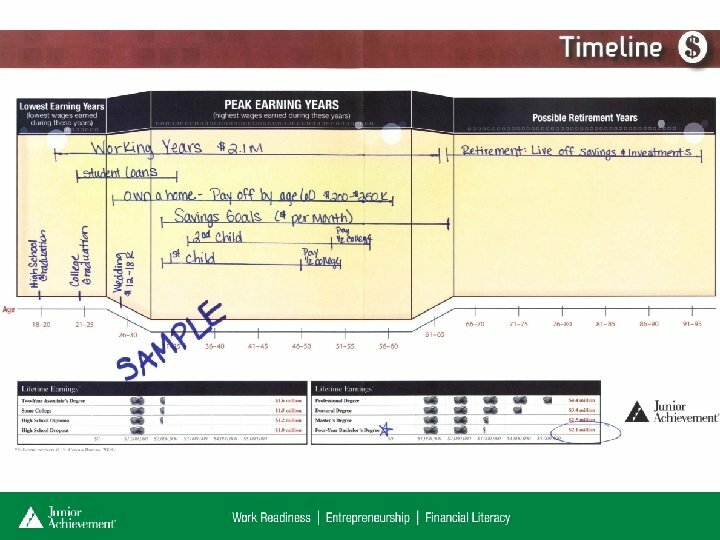 Saving – Setting aside a portion of current income for future use. 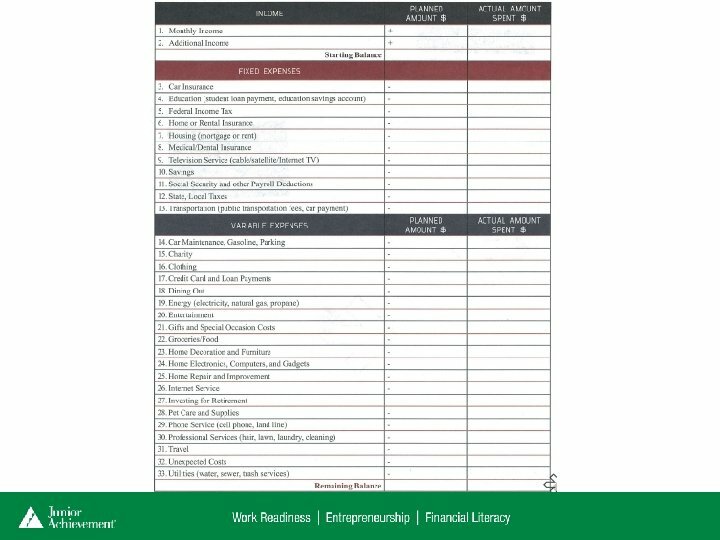 Budget – A spending plan for managing money during a given period of time. 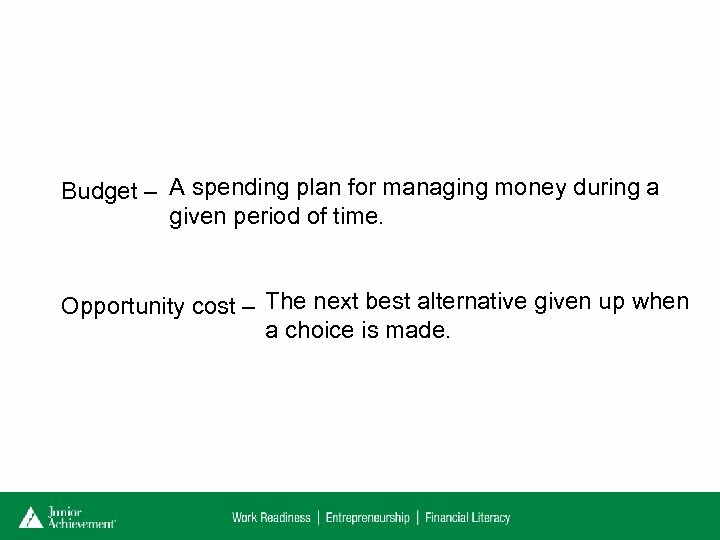 Opportunity cost – The next best alternative given up when a choice is made. 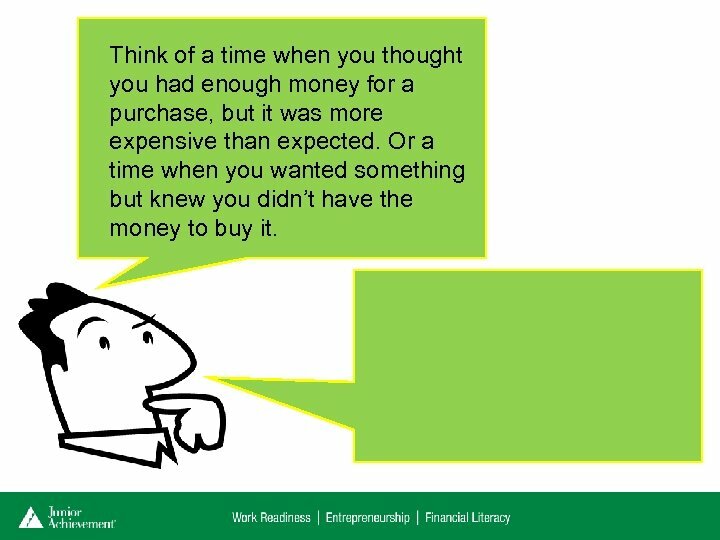 Think of a time when you thought you had enough money for a purchase, but it was more expensive than expected. Or a time when you wanted something but knew you didn’t have the money to buy it. 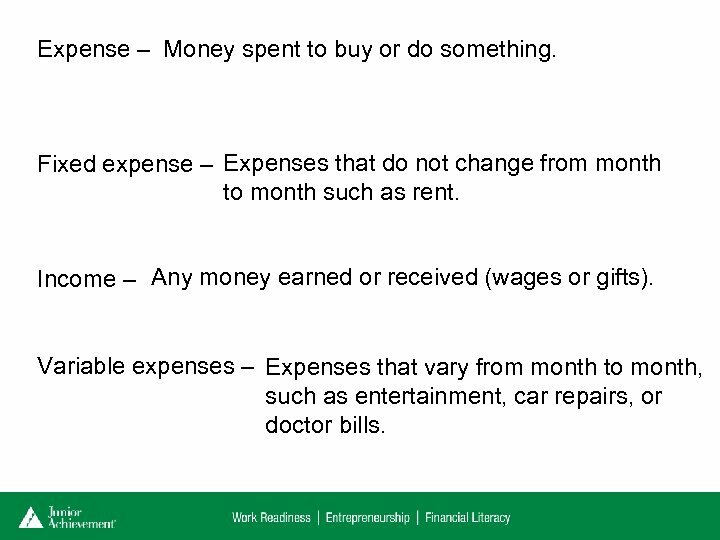 Expense – Money spent to buy or do something. Fixed expense – Expenses that do not change from month to month such as rent. Income – Any money earned or received (wages or gifts). Variable expenses – Expenses that vary from month to month, such as entertainment, car repairs, or doctor bills. 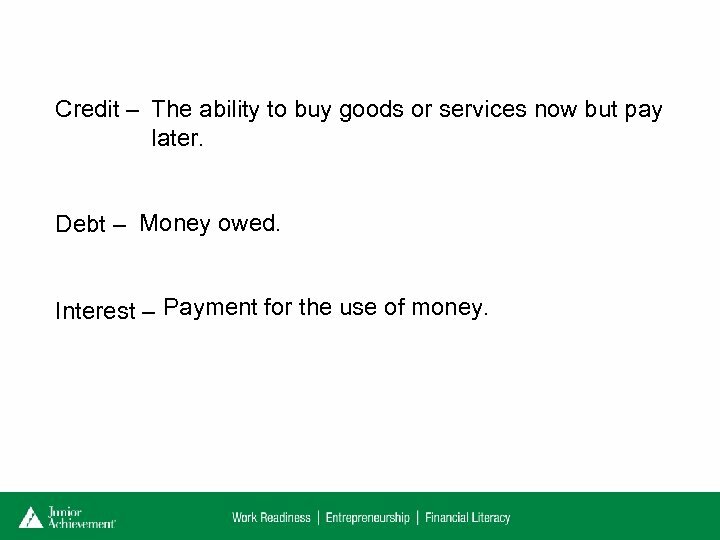 Credit – The ability to buy goods or services now but pay later. Debt – Money owed. Interest – Payment for the use of money. You will need credit at some point in your life. 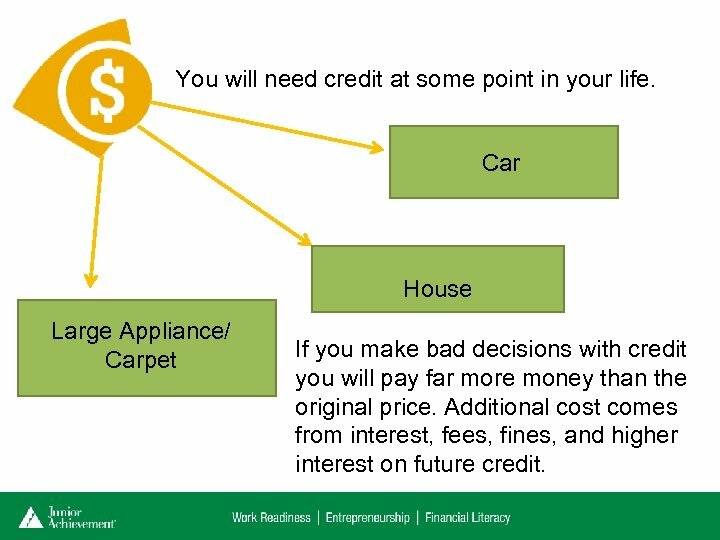 Car House Large Appliance/ Carpet If you make bad decisions with credit you will pay far more money than the original price. 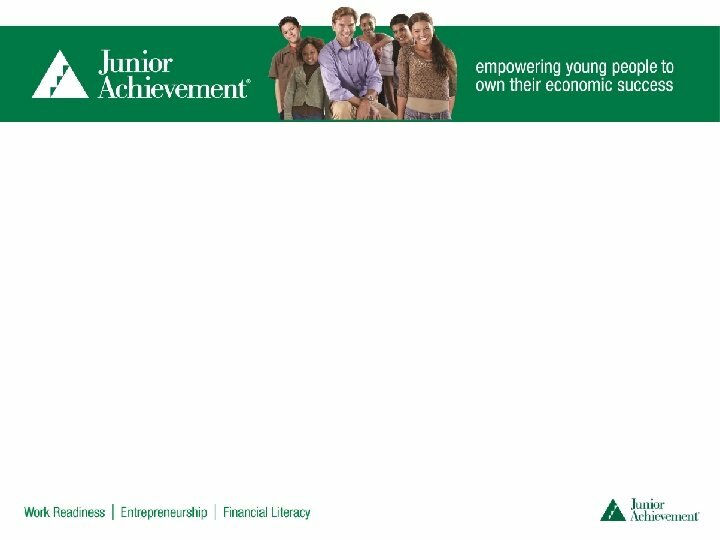 Additional cost comes from interest, fees, fines, and higher interest on future credit. 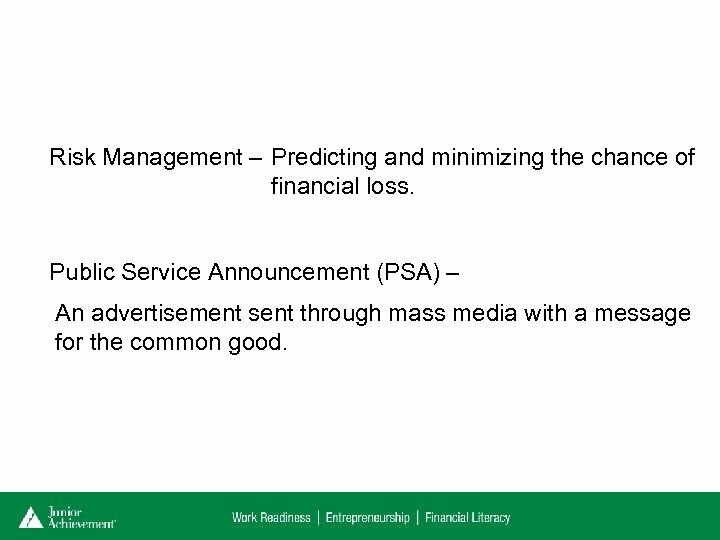 Risk Management – Predicting and minimizing the chance of financial loss. 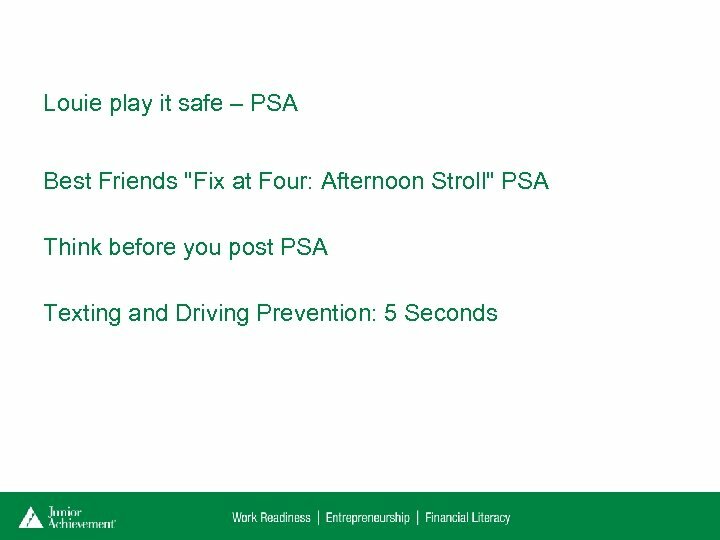 Public Service Announcement (PSA) – An advertisement sent through mass media with a message for the common good.